Liverpool are again making moves to strengthen our already exceptional academy. According to Goal, we’re ‘set to sign’ talented Dutch fullback Ki-Jana Hoever, who currently plies his trade at Ajax. They claim the 16-year-old has rejected our rivals, such as Manchester United, City and Chelsea, and chosen to move to Liverpool instead. Hoever is a right-back and will surely become part of the U18s initially, given the opportunity to move up if he impresses. 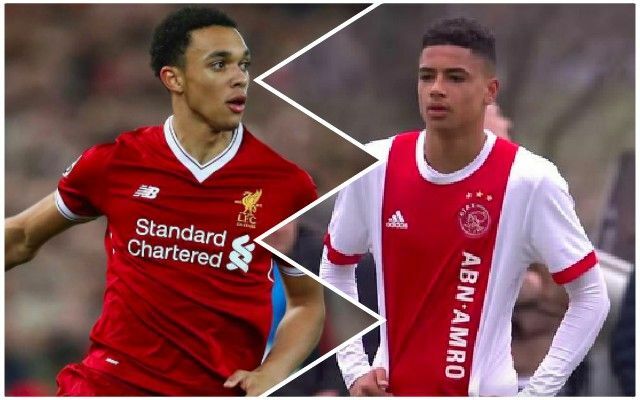 Liverpool have a plethora of exciting teenage prospects right now – with Trent Alexander-Arnold the example to follow. The Scouser is still 19-years-old, but is currently at the World Cup with England, having played in a Champions League Final just over a month ago. We don’t know anything about Hoever, so are trusting the club’s scouts entirely on this one. That being said, there’s no guarantee a brilliant 16-year-old will transition into the professional ranks successfully, as hundreds of factors come into account between 16 and 20. But we do know that at Liverpool, he’ll get a superb chance to fulfil his talent.